Visit the Browns' official website for your daily fix of team information. Veteran safety Morgan Burnett, who was recently released by the Steelers, is set to sign a two-year contract with the Cleveland Browns, NFL Network Insider Ian Rapoport reports. 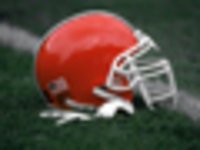 Running back Duke Johnson's future in Cleveland is up in the air, as NFL Network's Mike Garafolo reported the Browns are listening to offers, while NFL Network's Tom Pelissero pointed out a potential trade has been in the works. New Cleveland Browns head coach Freddie Kitchens downplayed the preseason hype, saying, "Yeah, our roster looks great on paper -- whoopy-hell, alright?" Wideout Odell Beckham, Jr. spoke out for the first time since being traded to the Browns. He discussed his new situation in Cleveland and what this means for his future. The Browns started offseason workouts Monday and Emmanuel Ogbah, a starter for the past three seasons, was not present. Cleveland is trying to trade the young defensive end, Ian Rapoport reports. The Browns, Dolphins and Buccaneers are slated to begin their offseason workout programs on Monday. The Broncos will begin their workouts on Tuesday. The Browns parted ways with safety Derrick Kindred, who started 17 games over three seasons. It was one of several transactions Cleveland announced Monday. Cleveland Browns RB Duke Johnson was on the trade block this offseason, but head coach Freddie Kitchens says Johnson will have a role on the 2019 squad. Following the trade that shook the NFL world which saw the Giants ship Odell Beckham Jr. to the Browns, New York quarterback Eli Manning called OBJ the most gifted athlete he's played with. John Harbaugh, the head coach of the reigning AFC North-champion Baltimore Ravens, said after a string of offseason moves, the Brows are "the most talented team in the division." Cleveland Browns general manager John Dorsey believes first-time head coach Freddie Kitchens has the demeanor to command the Browns' dynamic locker room. Quarterback Baker Mayfield expressed confidence in Odell Beckham Jr. fitting into the Browns locker room, saying he just wants the superstar wideout to be himself and make plays. The NFL has suspended Cleveland Browns running back Kareem Hunt eight games for violations to the personal conduct policy. 4/5 Morgan Burnett (SS) Free Agent Signing (free agent signing). 4/5 Garrett Gilbert (QB) Free Agent Signing (free agent signing). 4/3 Orson Charles (TE) Free Agent Signing (free agent signing). 4/2 Eric Murray (SS) Traded (traded). Freddie Kitchens was named head coach on Jan. 12, 2019. He was announced as running backs/associate head coach on Jan. 24, 2018 and promoted to offensive coordinator on Oct. 29, 2018. He has coached in the NFL the past 13 seasons. Kitchens spent the past 11 seasons with the Arizona Cardinals. He spent 2017 as running backs coach. He was also quarterbacks coach for four years (2013-16) and tight ends coach for six seasons (2007-12).